What is card activation? And why is it so complicated? Because the Japanese authorities need to protect against improper usage of pre-paid SIMs. The user must first provide basic personal information, and then enter their serial number to activate it. Click here for information on the full procedure. Setting the APN will allow your device to recognize the network it needs to connect to. Finish setting the APN after your arrive in Japan to enjoy the best and most fluid internet experience. Is there a Chinese version of EZ Nippon activation User Page? The activation User Page is currently available in English only. 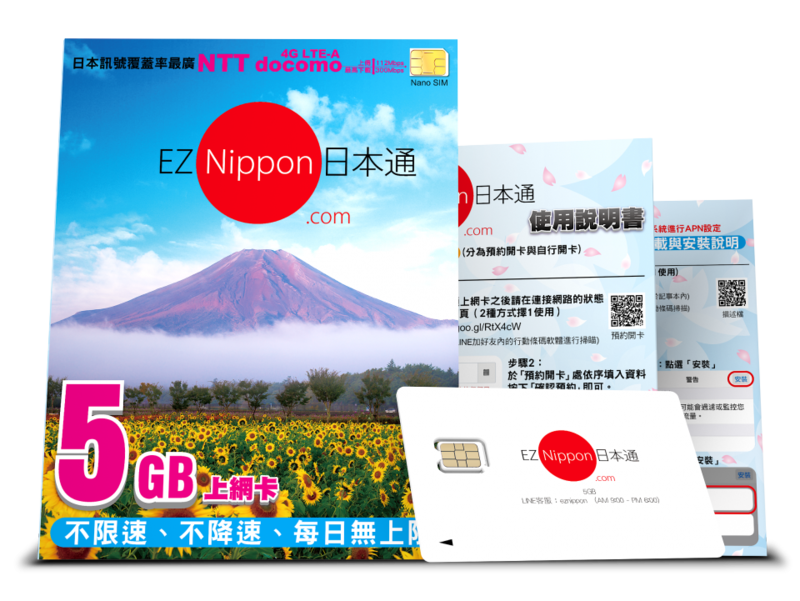 I have purchased EZ Nippon in the past, do I still have to activate it if I purchase a new one? Yes, because the serial number is unique to each card. Please activate it again.